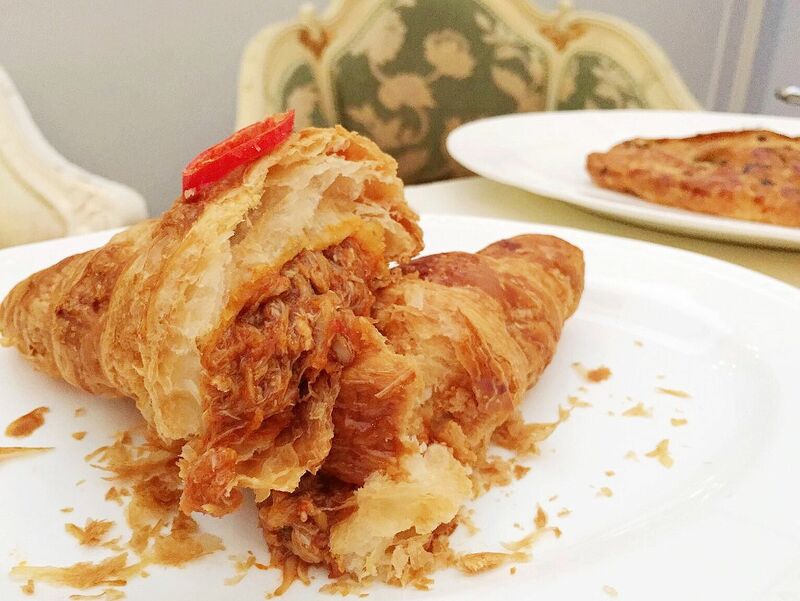 If all the oozing of the Salted Yolk Lava Croissants haven’t flowed to your taste buds yet, wait till you hear this: Savory croissants with LOCAL flavors have officially hit the island now, thanks to Chef Pang Kok Keong from Antoinette. Now how about some Chili Crab Croissant and Scallion Arlette. 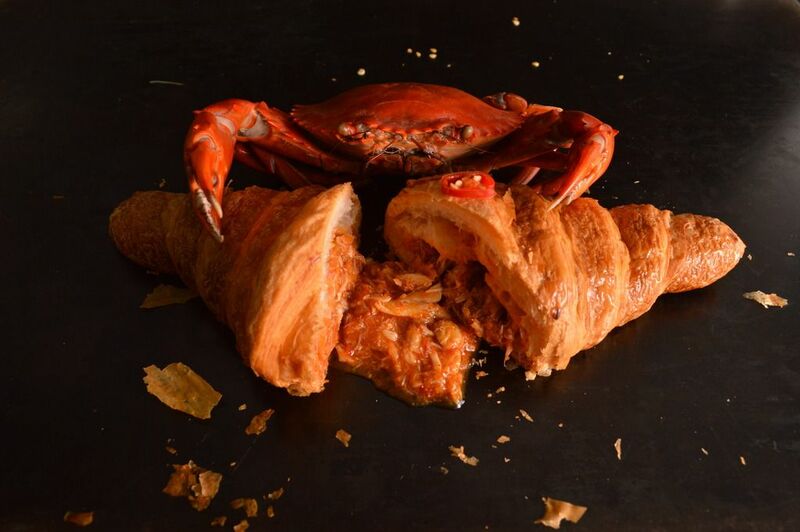 A play on Singapore’s famous chili crabs with fried 饅頭 (Man Tou), Chef Pang has perfected a droolicious Chili Crab Croissant ($7.50). The sweetness of real crab meat in sweet and spicy flavors is a perfect match to the crisp buttery croissant layers. The level of spice is mild, yet sufficient to linger after the last bite. This tummy is crabby happy with this heartily-filled crescent. Who would have imagined a plain Jane to explode in flavors? The Scallion Arlette ($3.50), a French interpretation of the traditional 蔥油餅 (Chong You Bing), was surprising in flavors and textures. With fragrant spring onions and creamy butter in the croissant dough, Scallion Arlette is a savory crunchy addiction without a hint of oiliness (unlike the traditional sort). It takes a lot of will power to stop munching this $3.50 a pop goodness. Made fresh daily in limited quantities, the Chili Crab Croissant and Scallion Arlette are available now at the Penhas outlet at 11am every weekday and 10am every weekend, and at Mandarin Gallery and Sofitel outlets at 12pm. For all the sweet tooth out there, here’s a thumbs up! 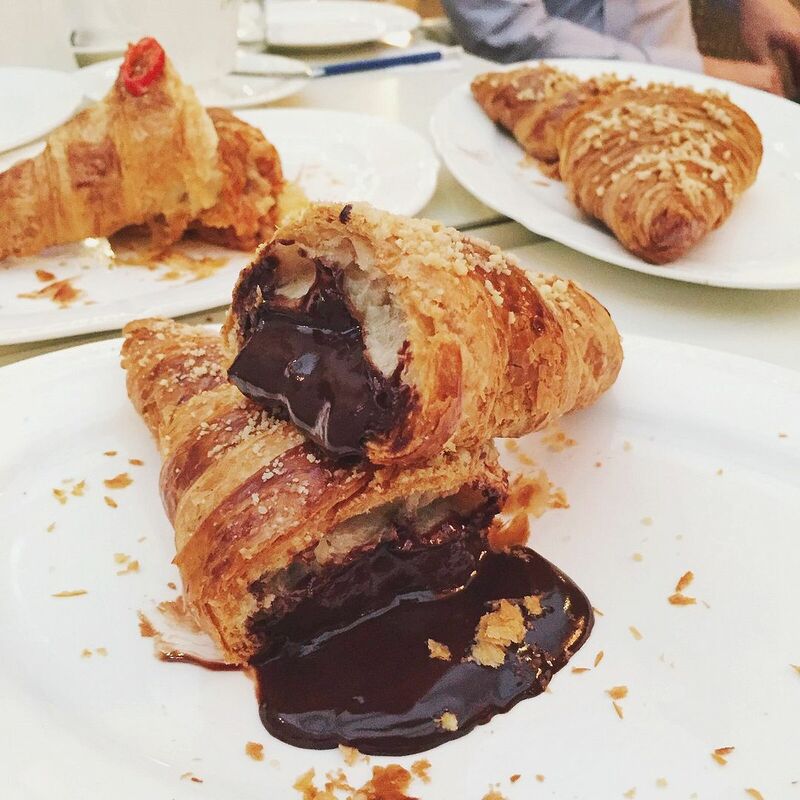 Chef Pang has lined up some exploding sweet croissants to be launched soon! Guess what flavors they are?? And for those who sit on the sweet and savory fence: Keep calm and enjoy the savory first.